Our Master Watchmaker is a renowned specialist in the repair and restoration of all vintage watches and pocket watches, including complicated repeaters and fusee mechanical movements. W.E. Clark & Son, established 1819, offer a first-class watch repair service. All brands of watch repaired including Omega, Tag Heuer, Rolex, Cartier, Breitling, Longines. 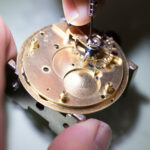 Whether you require a watch battery replacement, pressure testing service, or total refurbishment of your vintage minute repeater pocket watch, we have the specialist expertise to help you. Your valued watch is fully insured at all times, from the moment it leaves your house in our FREEPOST envelope, to and including its time with us whilst under repair, and of course whilst being posted back to you. Repairs are carried out in-house, and all work required is discussed with you before any costs are incurred. We are able to accept watches via our UK FREEPOST repair service, or you are able to ship directly to us from across the world. 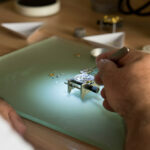 We have the expertise to fully repair and restore your timepiece as required. 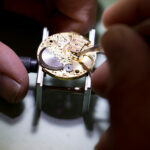 Our specialist watch repair services are also available via our Lewes and Uckfield shops based in East Sussex, where our team would be delighted to discuss your requirements with you.